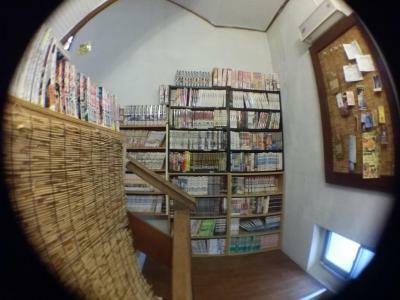 Lock in a great price for Guesthouse Base Okinawa – rated 8.1 by recent guests! 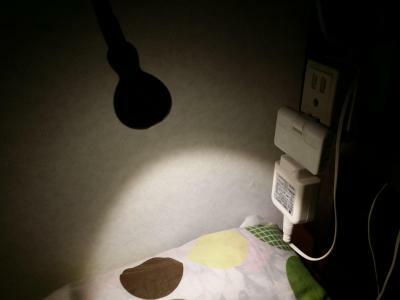 Just stay at Base Guesthouse and see. The twin bunk room with a SE Asian style shower toilet arrangement was very welcome . The AC worked well and the neighborhood was pleasantly quiet at night despite the 24 hr supermarket 100m away . I'll stay again as I enjoyed the feel of the place . Damned cheap too ! And the rooftop set up : perfect . Everything was awesome. Cleanless and location for a cheap price. Close proximity to 24 hour grocery store. 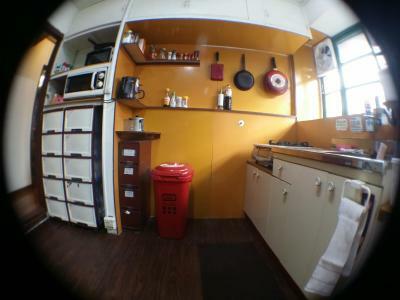 The guesthouse was equipped with kitchen and fridge. 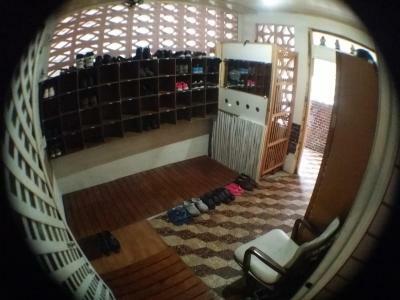 Walking distance to International Street, bus station, and monorail (to go to airport and other locations). Close location to beach as well. It's very close to the airport, ferry and beach. The staff were very friendly and helpful We loved the bikes that were free to use. Thank-you. The bed was very comfortable. The location close to the beach. 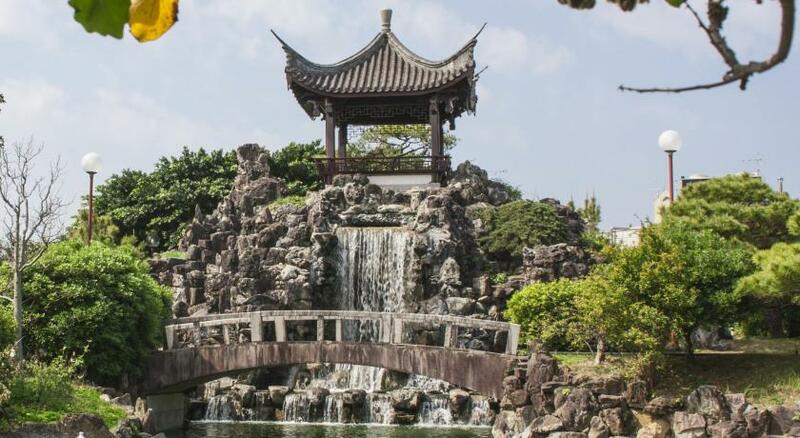 About a 15 minute walk to the big shopping mall and tourist area, and also the monorail. Close to the airport as well.. Also it located right near a grocery store if you need something. Staff were superb. Check in was easy even when I arrived a little late. Easy to locate the place. I would definitely recommend to someone looking to have quick easy access to the airport for an early flight, like I did. 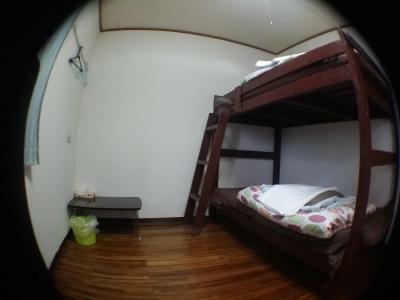 Guesthouse Base Okinawa This rating is a reflection of how the property compares to the industry standard when it comes to price, facilities and services available. It's based on a self-evaluation by the property. Use this rating to help choose your stay! One of our best sellers in Naha! Featuring free Wi-Fi throughout, Guest house Base Okinawa is a 2-minute walk from the Naminoue Beach, in Naha. Free bikes are available to explore the surroundings. Private rooms and dormitories all come with air conditioning. Each shares a bathroom. 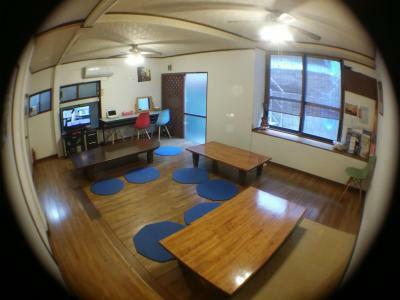 Guests can make use of the communal kitchen and of the free public computer. They can relax on the rooftop terrace. Kenchomae Train Station is a 15-minute walk from Base Okinawa Guest house. Naha Airport is 4.3 mi away. 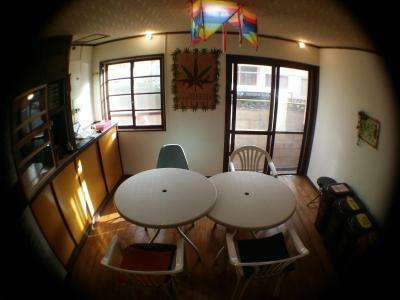 When would you like to stay at Guesthouse Base Okinawa? 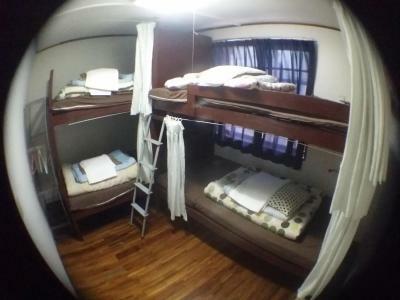 With free Wi-Fi access, this dormitory comes with air conditioning. It shares a bathroom. With free Wi-Fi access, this room comes with air conditioning. It shares a bathroom. 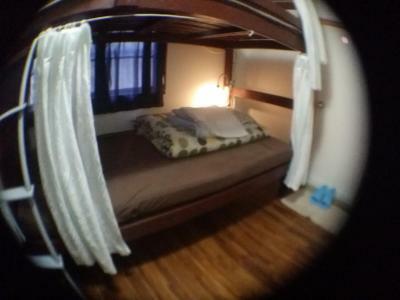 Please note that an extra bed will be added for occupancy of 3 people. House Rules Guesthouse Base Okinawa takes special requests – add in the next step! 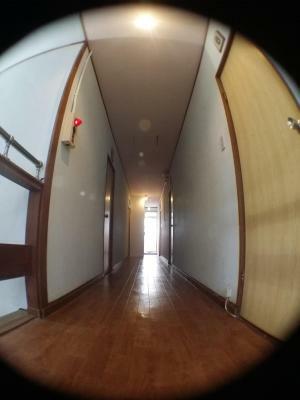 Please inform Guesthouse Base Okinawa of your expected arrival time in advance. You can use the Special Requests box when booking, or contact the property directly using the contact details in your confirmation. The area is more of a quiet area, Not too many restaurant choices right in the area. Nothing really comes to mind. I stayed one night to catch an early morning flight. The staff is max awesome, they really tried to help me out even though I’m shy. Superb location! 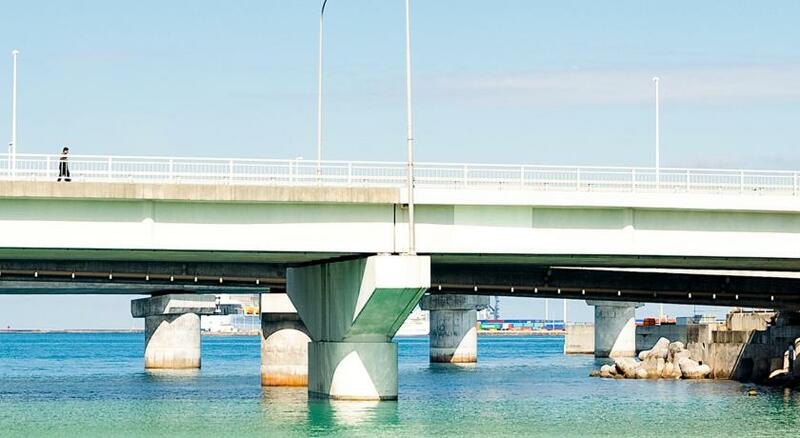 You can literally walk to the beach within 1 min ( you can enjoy the beach and swim there) ,the famous Naminoue Shrine and Naminoue Shrine are just right behind you! Walking to the monorail station only takes 10 mins, Lawson on the way. Staff is very friendly and helpful, thumps up! My room is ready at 12 am which is 4 hours earlier than expected. 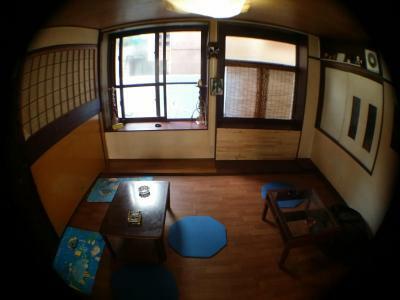 Facilities are usable and clean to Japanese standard. Bit of a walk from the Yui-rail station. Very close to MaxValu. Beds were comfy and private bathroom in room was very appreciated. Pretty good overall - the rooftop could use a little attention but the price was right. 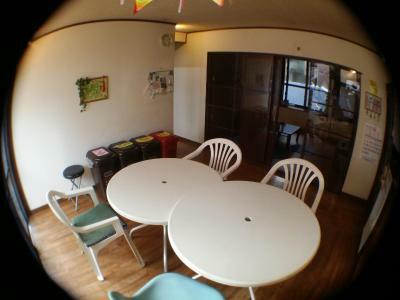 Great location in the peaceful area of Naha, good staff and I made some friends in the common area. 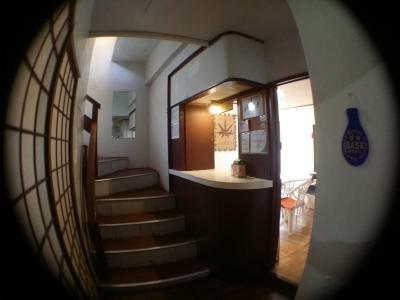 i always visit this hostel whenever i go Okinawa. Here is loacated in front of naminoue beach. you can walk like 1-2mins from door to beach. good for backpacker but it take 15 min to the metro. close to 24h supermarket(with free car park) just 3 min walk. not recommend for the traveller with car but there are the parking(need to pay the cheapest is 500y) the staff is very nice and useful!! Don't need to pay on Visa or Mastercard just pay at the hostel. I book the family room i got the room with private toilet.